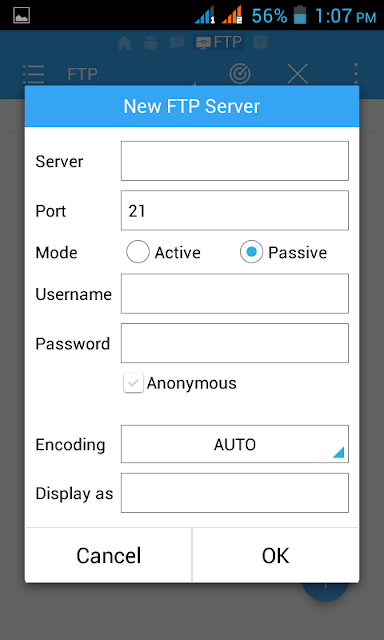 Due to some errors and corruption of system files on android devices, most phones do have problem like hanging on logo, restarting and some times it possess the problem of auto starting of WiFi, auto starting of Bluetooth, data auto starting and installing apps automatically which is actually annoying and it causes about inability to use android device comfortably however some time its we actually faces the problem of forgetting password or pattern lock or what ever you call it on your language register. As you already know the drill, your should at least have 70% charge on your phone before starting this activity and also backing up your important files are essential such as music, videos, photos and other relevant data that you don't wanna miss but if in case you can't be able to back up your data or the phone is not booting then just take a deep breathe and proceed with the flashing process below. 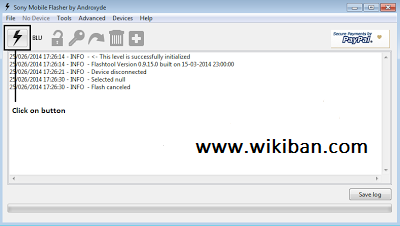 8.click on the area marked bellow and then Click on fastboot. 10. Click on Flash button and wait until second windows opened. 11. Press and hold Volume Down button and Insert USB cable in your phone and wait for the driver to install. Congratulations your phone is error free. Note: do not disconnected while device in flashing mode to avoid bricking your device. Smartphones have come a long way since Apple introduced the original iPhone in 2007. The advent of the iPhone undoubtedly ushered in the age of the modern smartphone. When the Android platform surfaced a year later in 2008, its open-sourced nature set the course for the inevitable commoditization of the smartphone. Nowadays, the barrier to entry is so low that all you need to startup are design references and a reliable network of manufacturers. 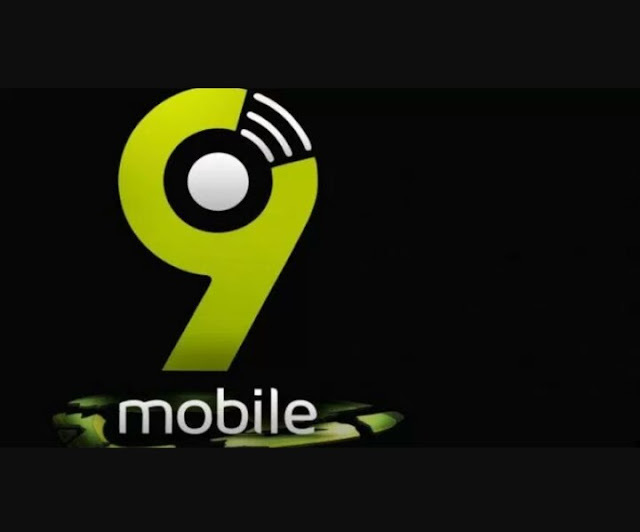 A young Nigerian entrepreneur has chosen to take advantage of this very phenomenon to fulfill his dream of building “Nigeria’s top mobile phone product”. His name is Chris Ombeh and he is the founder and CEO of Kosmos Innovation International. Asides building mobile apps and other related software, his company has also ventured into a new brand of mobile phones they call Kosmos Mobile. “I have always been fascinated by mobile phone technology”, Chris tells me,”for me, this is an opportunity to play an active part in its evolution”. A couple of Google searches after he made his decision to enter the business, Chris began consuming all the material he could find on mobile phone design. Soon enough, he made a trip to China, where he hooked up with the manufacturers who would eventually produce his designs. So far, Kosmos mobile has built 2 major prototypes, the second of which I had about a week to play around with. Without getting into too much detail (as it would be unfair to subject a prototype smartphone to a full review) here’s a rundown of the key feedback I have for the Kosmos Mobile team. The Kosmos Mobile has all the makings of a mid to high range device targeted at emerging markets. At 7.2mm, it is slightly thinner than the iPhone 7 Plus, yet it manages to pack a 5.5 inch FHD 1080p display. I didn’t get official figures on the weight but, seeing as it feels reasonably light to handle, I would wager at sub-180g. As expected, it has Dual SIM (LTE) capability. There’s also 3GB RAM, 32GB internal memory (expandable) and an octa-core processor, all powered by a 2600 mAh non-removable battery. Placing the fingerprint sensor behind, rather than in front, is the more logical option, as it aids one-handed unlocking. However, I feel it was a misguided design choice to make it square-shaped, as opposed to being round. Or maybe it’s the pronounced edges, I don’t know. Whatever it is has translated into poor contact which leads to many failed attempts to unlock the device. This is one major part of the design that needs to be reviewed. Thankfully, there’s a PIN unlock backup. Now, the SIM tray is perhaps the most fascinating thing about Kosmos Mobile for me. You see, there’s a rather annoying trend with most non-removable battery smartphones, where they ship with hybrid SIM trays that limit you to 2 usage scenarios — you either get to use one SIM and one microSD or two SIMs and no microSD. So you literally can’t eat your cake and have it. The original Infinix Zero and Infinix Zero 2 are the only phones I know that addressed this by including SIM trays on either side. What Kosmos Mobile has is a niftier solution to the problem. They managed to fit both SIMs and microSD into one tray. This is only best explained in a GIF. With an octa-core processor and 1080p HD display to contend with, I wasn’t expecting the 2600 mAh battery to hold its own. I was right. With a little over average use (a few calls, 30 minutes of gaming, social media hopping, WhatsApp IMing and both SIMs active), I only managed to average about 4 hours, which is pretty disappointing. Not only that; power management appears to be a bit erratic. One time, the phone was fully charged and then switched off. 4 hours later when I tried to turn it on, the battery was flat. That only happened once though. The battery size is no doubt one of the biggest determinants of final pricing. So without being greedy, I think it’d be a great idea to give it a 400 mAh bump (that’s 3000 mAh) whilst fine-tuning power management. Other than my two major issues with the design (fingerprint sensor to be specific) and battery, my impression of every other element ranges from “I can live with it” to “pretty much satisfactory”. Yes, the WiFi does go off intermittently, especially when screen is inactive, I can’t see icons of relevant notifications on the lock screen, I always have to unlock the phone to know which sound that was, and the earbuds of the bundled earphone are always pulling off. But these are things I can live with. You still have to remind yourself it’s just a prototype. In all fairness, the Kosmos Mobile (unnamed model 2) is a pretty decent phone all round, that you easily forget it’s still in the prototype phase. My verdict is that, despite some UX and design flaws, it holds a lot of promise. The plan is to launch 3 models in 2017 — this one I reviewed, which will cater to the high end at 70k and 2 other models priced 26k and 45k. Chris’ long term plan is to have Kosmos Mobile “become the top mobile phone product in Nigerian and around Africa”. From all indications, he is in for the long haul. Having never really been in paid employment for a single day in his life, Chris left the UK, following completion of his first degree in Business Information, for Malaysia. There he co-founded two companies before moving back to Nigeria to found Kosmos Innovation Limited. With such huge ambitions for Kosmos Mobile, one can only patiently wait to observe how they deliver in 2017. The ongoing war on which smartphone has the best camera might have just been won by an unlikely competitor, Kodak’s new Ektra Smartphone, which sports a system that has been on development since 1941. In a surprising turn, Kodak has just released a handheld, called the Ektra Smartphone. Unsurprisingly, it features a camera system that the company has been developing since 1941, which could completely end the feud between which company has the best smartphone camera. And it looks like it, too. As noted by Fox News, the Ektra camera was first introduced to the public in 1941 and has since been in development. Granted, the Ektra Smartphone does not carry all the same features, but it does take inspiration for the same. It sports a textured body and even comes with a leather accessory that carries the handheld - much like a camera does. The rear camera is 21 megapixels and has f2.0 aperture, while the 13-megapixel front camera has phase detection autofocus and f2.2 aperture. The application that controls the camera itself has an SLR-style scene selection dial, which will allow users to adjust landscape, sport, and night-time. 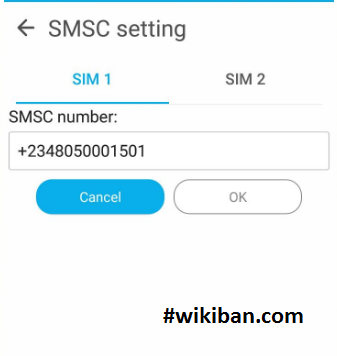 But for quick photos, the application also has a smart auto mode. "Kodak has a rich history in imaging technology and the launch of the KODAK Smartphone today demonstrates our ongoing commitment to bringing the latest advances in photography to consumers," Jeff Clarke, Kodak Chief Executive said in a press release. "The original KODAK EKTRA Camera was launched in 1941 and in its latest reincarnation, opens up a world of creative opportunities to all who care about photography." In essence, the Ektra Smartphone was not released to battle it out in terms of power or features in the industry but was merely released to get a suitable camera into the hands of the general public. This does not mean, however, that the device lacks as a smartphone. On this side of the unit, it still holds its own. The Ektra Smartphone has a 5 inch HD display with 1080 pixel resolution and thus the capacity to capture 4K video. It is also powered by a HELIO X20 Decacore processor and runs on Android 6.0 Marshmallow out of the box. The device, when available, will price for around US$550. 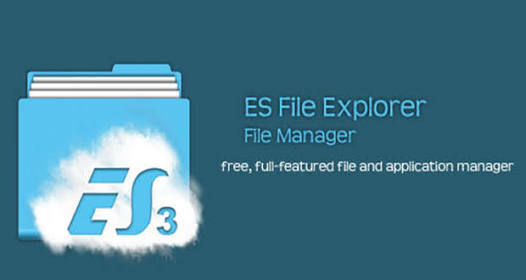 ES File Explore is for sure almost anyone using Android has it and many use it as one thing, i.e. Navigating their SD Card files but to be sincere is not only file manager, its more than that, it has a lot of many tasks to do. Own a best android smartphone, then you must have ES Explore installed. A part from knowing how to backup your APK's, transferring files between devices or to PC, extracting zip files, or hidden stuffs, there's a lot more other things to perform with, especially when we dig deeper. You got a bunch of unwanted applications that you want removed them at once, then ES File Explore might handle this path all you have to do is Navigate apps library, then mark the one you wish and tab on dustbin button. That's all. 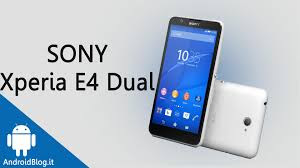 Bloatware's sometimes are becoming like junks, or you think it can cause annoying having them on your phone more especially if you are looking for a space, removing them is no doubt will be the solution. 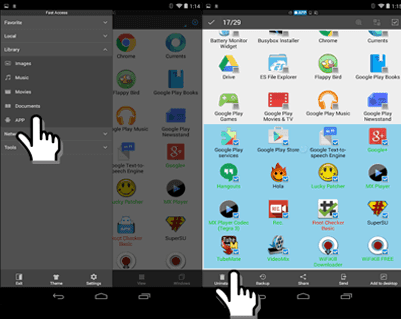 To do this, tab on options and enable Root Explore, and delete the system apps you want. May be not to you but to people like me (a blogger using WordPress or static websites) will love this fact, you can access your FTP files through ES File Explore and start editing, uploading, downloading or whatever. Just head over to Network > FTP > and insert your details. That's it! Did you know anything about ES File Explore or have any tutorial about it? Please use the comment box below to state, it will be highly welcomed. Thanks. The unofficial AOSP Android 7.0 Nougat ROM is now available for Moto E LTE XT1527 (2nd Gen.) code named Surnai. 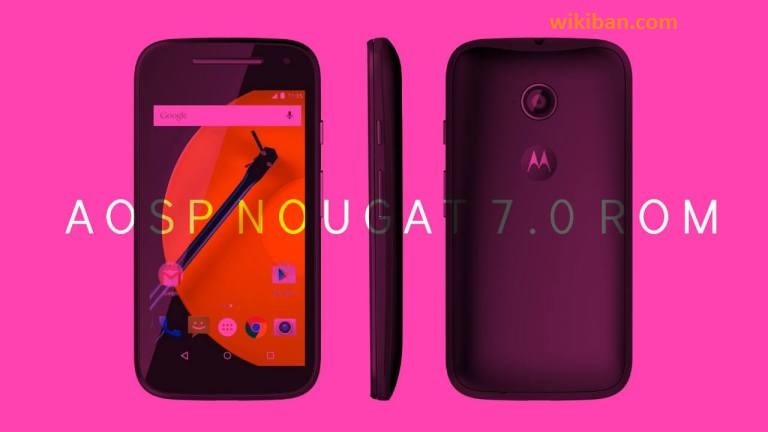 We are sharing step by step guide to Download & Install Android 7.0 Nougat AOSP ROM On Moto E 2nd Gen 2015. Follow the given steps to Update your Moto E 2nd Gen to Android 7.0 Nougat Via AOSP ROM. Special thanks to srfarias XDA Senior Member for sharing the initial build of Android 7.0 AOSP ROM for Moto E LTE XT1527. According to the dev, this method only works on Moto E LTE XT1527 with TWRP installed on it. So make sure that, your Moto E 2015 has TWRP then follow the given guide to Download & Install Android 7.0 Nougat AOSP ROM On Moto E 2nd Gen. This will Update Moto E 2nd Gen to Android 7.0 Nougat. As you guys know, Moto E 2nd is very unlike to get the Android 7.0 Nougat Update officially, so users have only one option and that is custom ROMs. This AOSP ROM is in its beta stage so there are many bugs and can’t be used as a daily driver right now. But in future updates, the bugs will be fixed. Your Moto E 2nd Gen (LTE) should be updated to Android 7.0 Nougat. Now unofficial Android 7.0 Nougat AOSP ROM available for Sony Xperia L. Follow this step by step guide to Download & Install Android 7.0 Nougat AOSP ROM On Xperia L. Follow the given steps to Update Xperia L to Android 7.0 Nougat Via AOSP Custom ROM. Most of the Sony Xperia devices have received AOSP 7.0 Nougat ROM and the latest entry is Xperia L. Previously, Xperia Z1 has received the unofficial Nougat ROM There are unofficial Nougat ROMs available for Some Xperia devices, Google Nexus 5, Nexus 6. 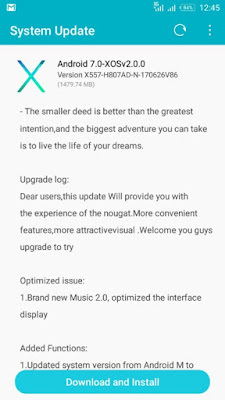 This is a great news for all Xperia L users who want to experience the latest Android Nougat 7.0 on their devices. 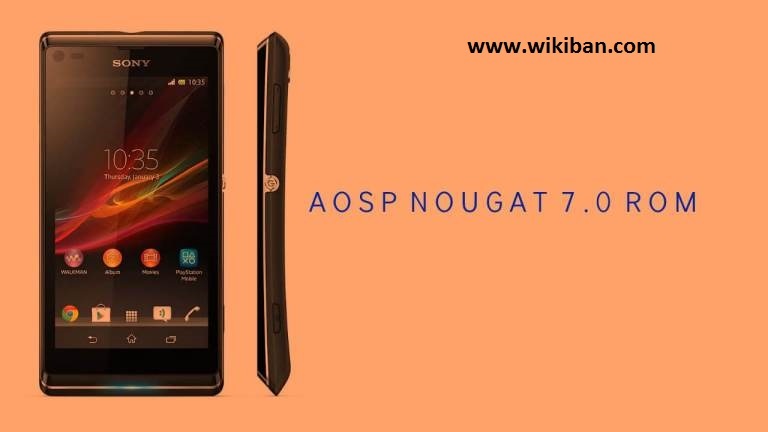 Follow the given steps carefully to Download & Install Android 7.0 Nougat AOSP ROM On Xperia L.
Very special thanks to XDA developer Agent-Fabulous for releasing the initial build of Android 7.0 AOSP ROM for Xperia L. This method only works on Xperia L with TWRP installed on it. So make sure that, your Xperia L has TWRP then follow the given guide to Download & Install Android 7.0 Nougat AOSP ROM On Xperia L, This will Update Xiaomi Xperia L to Android 7.0 Nougat. Your Xperia L should be updated to Android 7.0 Nougat. 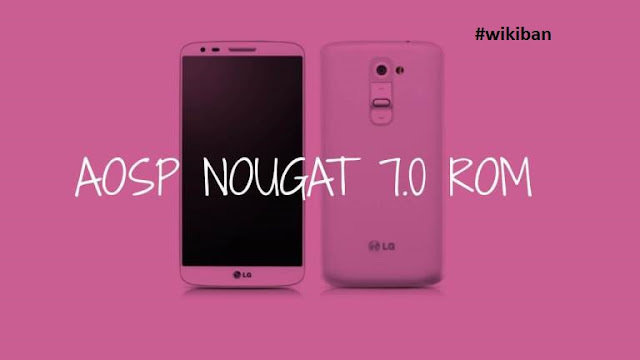 LG G3 with the model number D850, D855 and D851 become the first LG device to get the unofficial AOSP Nougat 7.0 ROM. There are unofficial Nougat ROMs available for Some Xperia devices, Google Nexus 5, Nexus 6. This is a great news for all LG G3 users who want to experience the latest Android Nougat 7.0 on their devices. 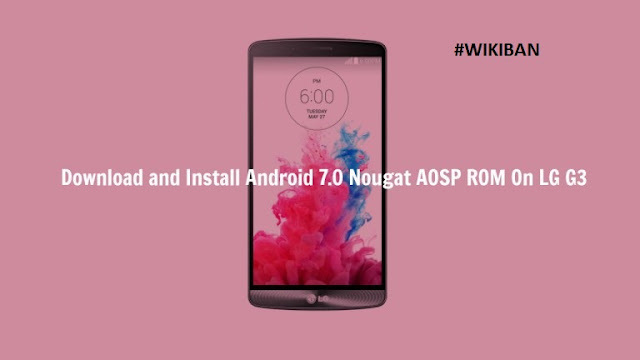 Follow the given steps carefully to Download & Install Android 7.0 Nougat AOSP ROM On LG G3. Special thanks to XDA Senior Member bangprovn for sharing the initial build of Android 7.0 AOSP ROM for LG G3 D850. This method only works on LG G3 D850/851/855 with TWRP installed on it. So make sure that, your LG G3 has TWRP then follow the given guide to Download & Install Android 7.0 Nougat AOSP ROM On LG G3. This will Update LG G3 to Android 7.0 Nougat. As you guys know, LG G3 is not going to get the Android 7.0 Nougat Update officially, so users have only one option and that is custom ROMs. This AOSP ROM is in its beta stage so there are many bugs and can’t be used as daily driver right now. Your LG G3 should be updated to Android 7.0 Nougat.